In one of Alma the Younger's major discourses to the people of Zarahemla, he asks the people fifty rhetorical questions. 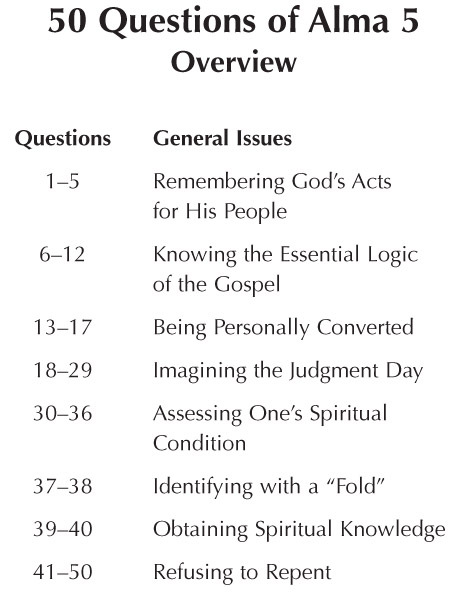 This chart is an overview of the general issues Alma discusses in Alma 5, such as being personally converted and imagining the judgment day. His fifty searching questions are useful to all people who wish to assess their own personal conversion and standing before God.